The crowned heads of Europe launch a new military campaign to re-conquer the Holy Land. The time has come for you to assemble your armies and take back the land as Richard the Lionheart. Or assume the role of the great Saladin and defend your people against the oncoming invasion. Lionheart: King’s Crusade gives you the chance to make the dreams of the past a reality. The crowned heads of Europe launch a new military campaign to re-conquer the Holy Land. The time has come for you to assemble your armies and take back the land as Richard the Lionheart. Or assume the role of the great Saladin and defend your people against the oncoming invasion. Lionheart: King’s Crusade gives you the chance to make the dreams of the past a reality. 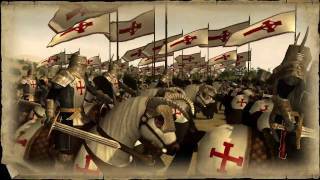 The King’s Crusade is a real-time strategy game that places you in the era of the Third Crusade, spanning the years 1189-1192. Control and upgrade the leaders and their armies, lead your men into fierce battles, complete the objectives of the campaign by guiding various historical factions through political events, collect relics, and unlock new content on your crusade. -> Play through two single-player campaigns – Crusader and Saracen. -> Oversee hundreds of soldiers in real-time epic battles. -> Command your forces, conquer territory, and expand your realm on a fully 3D map. -> Strategically manage your army between missions. -> Rewrite the past with famous historical characters serving as the main heroes.